For complete landscape installation, landscape maintenance and landscape design services, turn to Lawn Frogs Landscaping in Acworth, GA.
pressure washing and storm cleanup. For regular customers or those who would like to be, we are pleased to offer lawn care programs and specialized custom lawn services that match the unique needs of Acworth, GA residents of all kinds. Lawn maintenance packages include one-time clean up services, monthly lawn service, biweekly lawn service and weekly lawn service. Why Lawn Frogs For Lawn Service? When you deal with Lawn Frogs Landscaping, you can always be sure your work is being done using today’s most modern methods for landscape maintenance and lawn service. To make sure we always meet your expectations, we use only the best full floating-deck lawnmowers and high-end trimming equipment, and we take the extra effort of sharpening our lawn mower blades every day to make sure the grass is evenly trimmed and your plants are as healthy as possible. Even more importantly, our lawn care technicians are competent and well-trained professionals who care about their work. Please contact us today for your free, no-obligation quote if you need any landscape-related services in Acworth, GA or the surrounding area. 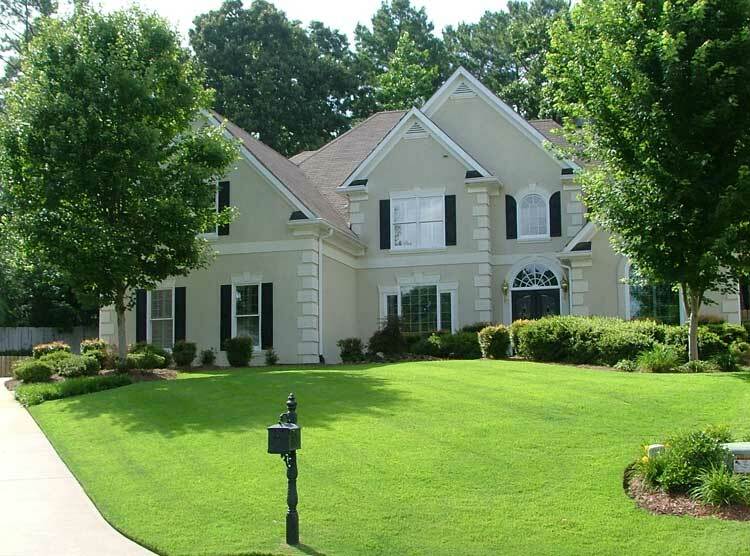 We have been confidently providing lawn maintenance services here in the Acworth area for more than a decade and look forward to serving you.